In part 2 of our series on How Automotive Companies Can Survive The Future, we're looking at the latest automotive trends such as why marketing is getting so much harder. 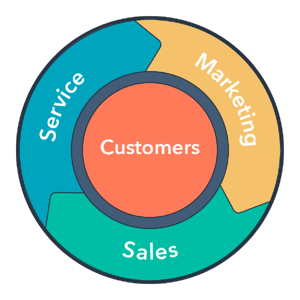 Here's part 3, why your customers are the best way to grow your business… Join the #SalesSuperleague. Historically, businesses have focused on lowering the cost to acquire a new customer (CAC) rather than the lifetime reward from loyal customers, or customers lifetime value (LTV). As Facebook, Amazon, and Google tighten their grips on content, the big opportunity for today’s Automotive companies is raising your customers lifetime value (LTV). It's vital to invest in your customers. Successful customers will not only spread the word about how great you are, but will buy from you again and again. This creates a cycle by promoting your brand to help win more new customers. There's no point constantly trying to win new customers when you have a loyal customer base you already own. An active group of buyers who already trust you. The happier your customers are, the more willing they will be to promote your brand, not only getting you repeat sales but also free marketing! 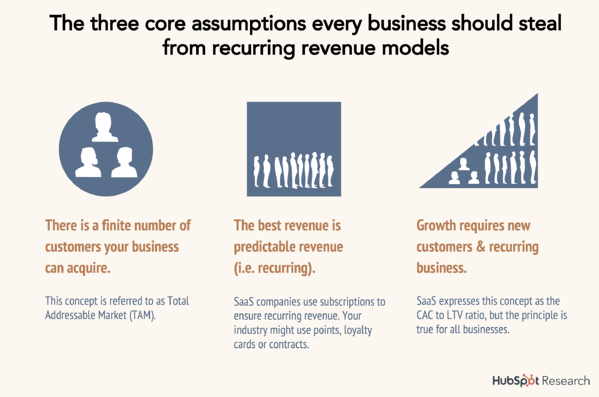 What are the Benefits of a Subscription-Based Model? A subscription-based model or recurring revenue means customers pay a monthly fee for access to products or services. This makes expected revenue projections easy. Even if you can't offer subscriptions, the recurring revenue model can still help your Automotive business. Every company needs repeat customers, not just retainers or subscription based customers. This can be something like a vehicle manufacturer that has an ongoing need to purchase exhaust systems as they sell cars, to fire extinguisher products that need servicing regularly and expire after a certain amount of time. The key to growth is retaining the customers you already have, while also expanding with new customers. So how do you retain customers? Most Automotive companies invest in their sales departments. Customer service is thought of as an area that costs your company, not one that produces profit. But you need to be in this for the long-term, not the short term! Good customer support is a vital investment for your company. Once a customer has purchased your product they are free to do what they want with it and say what they please. A new customer may need extra help understanding how to use it or want recommendations on how to get the best from it. A knowledgeable Customer Service team that's easily accessible and can quickly resolve any customer issues is so important. Once you have lost a customer, its nearly impossible to win them back. If you invest in customer service, you not only retain the customers you have already won with repeat business, but they also promote your business for you, saving you time and money. To learn more about how to retain your current customers, start with How Automotive Companies Can Survive The Future.